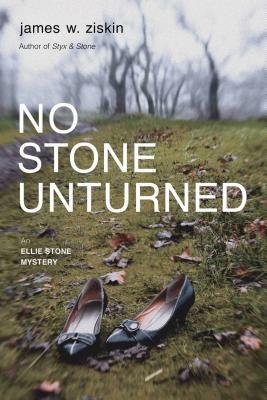 This is the second in the Ellie Stone series and it’s just as engrossing as the first. It’s a smart fresh take on the female investigative reporter in that Ellie is only twenty-four-years-old and the setting is 1960s’ New York. Clearly, she has her work cut out for her as she must be twice as clever as her male colleagues and equally brazen. In Ziskin’s latest, Ellie is the first reporter on the scene when a young woman’s body is discovered in the woods of upstate New York. She uncovers small-town scandals and shocking secrets as she navigates through the tight-lipped worlds of academia and high society in her quest to find the killer. Exquisite prose paired with a quick-witted introspective heroine makes this a series you don’t want to miss. In her second mystery, Ellie Stone—a young reporter in 1960s’ upstate New York—plays by her own rules while searching for a killer, putting her own life at risk. A dead girl in the woods. Three little oil spots on the dirt road. A Dr. Pepper bottle cap in the shallow grave. And a young reporter, armed with nothing but a camera. Evening is falling on a wet, gray, autumn day in upstate New York. Ellie Stone, twenty-four-year-old reporter for a small local daily, stands at a crossroads in her career and in her life. Alone in the world, battling her own losses and her own demons, Ellie is ready to pack it in and return to New York a failure. Then she hears the dispatch over the police scanner. A hunter, tramping through a muddy wood north of the small town of New Holland, has tripped over the body of a twenty-one-year-old society girl half-buried in the leaves. Ellie is the first reporter on the scene. The investigation provides a rare opportunity to rescue her drowning career, but all leads seem to die on the vine, until Ellie takes a daring chance that unleashes unintended chaos. Wading through a voyeuristic tangle of small-town secrets, she makes some desperate enemies, who want her off the case. Dead if necessary. 2015 ANTHONY AWARD NOMINEE: BEST PAPERBACK ORIGINAL!